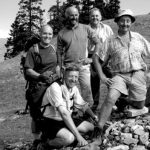 Almost 20 years ago we were standing on the trail in the Karnali valley and looking up at the first electric light twinkling high above us at the newly commissioned Nepal Trust health post in Kermi in the remote NW Humla district of Nepal: it was with hindsight a very special moment. 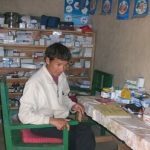 Supplying these remote communities with the means to generate electricity is truly transformational: obviously light to see at night rather than using smoky candles and lamps makes a big difference, but the real impact is the means to recharge batteries. So much of modern life revolves around recharging: phones to communicate; smart phones and computers for email and internet access; larger batteries for satellite TV for information and education; hand held torches; and of course hand held power tools to carry out many of life’s daily tasks. This year along with two board colleagues, we undertook a 10 day trek to revisit the biggest renewable energy scheme that the Nepal Trust constructed almost 10 years ago: the Ghoti Kola 50kw micro hydro facility that provides electricity to the three main villages in the Ghoti valley. 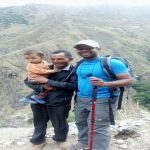 The system was handed over to the community in 2009 and has been operational ever since: led by the two operators we scrambled down the steep hill side to the building that hosts the turbine unit and generator units nestling beneath the great waterfall. It was a very positive experience. 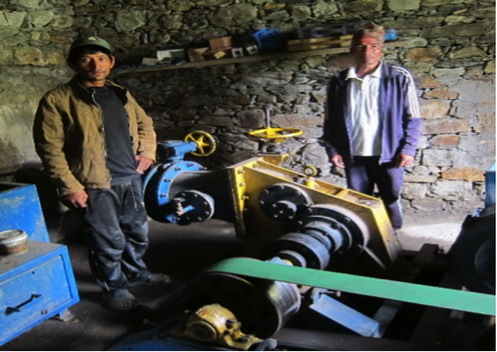 The facility looked the best maintained of all of the micro hydro schemes we have installed over the years and the operators were well on top of the basic procedural issues associated with the safe running and operation of the system. However it also brought home the truly immense challenge of keeping the lights burning. Understanding and appreciating the importance of pro-active maintenance; sourcing a supply of the correct grease for lubricating the bearings; persuading the community to find the cash to invest in a stock of spares; accessing technical knowledge and repair capability. The Service Centre we are building and which we will report on shortly will, we hope, over the next 10 years be the key to further positive progress. In any event well done to the team at Ghoti: keep the lights burning. 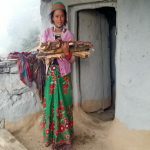 Another example of how change affects the lives of these remote people is a recent request from the village committee in Limi situated in the beautiful but very remote Limi valley, bordering Tibet. One of three villages in this magical place it freezes up in the winter and the hydro power system has to be shut down. Solar panels provide power during these cold months. After the recent winter the system failed to restart. The villagers have tried everything they know and have finally requested the Nepal Trust to help them out. Of course, this scheme is one of our earlier projects and we will help to sustain it but it is a very good example of why it is so important to get our new Service Centre up and running for long term sustainability. We hope you will continue to support this project which impacts so heavily on the lives and the future of these remote communities. If they are to have a future at all then they must have access to clean renewable energy that will provide them with many of the things we take so much for granted. Clean, green power doesn’t just provide light at night and power through the day it provides a healthy environment to bring up their kids. We all want that. Thank you for your support for this essential project. Please talk to your friends about us and what we are trying to achieve. Friends, colleagues and businesses who themselves try to lead a lean, green lifestyle may be interested in supporting us.